You are here: Home » Tag "marketing"
“What the heck is Webinar Automation?” you may ask. Put simply, it is the future of webinars! More specifically, it is the process of creating one webinar, then cloning it and running it time and again in a live environment. No, this doesn’t mean just recording a video of your webinar and replaying it back in front of a new group of attendees. A video replay would lose any interactivity that defines any greatly produced webinar. You see, creating a powerful webinar is not as simple as talking over a PowerPoint deck for half-an-hour! Plus, I’m assuming your goal is not to put your attendees to sleep. A truly effective marketing webinar is interactive- it includes polls, well-coordinated live and/or pre-recorded video clips and other action requests for attendees to keep them engaged. Creating an interactive presentation also means you end up collecting more useful information from your attendees that can feed into your marketing automation tools for follow-up. By only replaying a video recording of your original webinar is not going to offer the same live experience. Creating automated webinars by leveraging Webinato’s unique AutoPilot module enables you to replay events with all their original interactivity as if they were live. Your attendees won’t even be able to tell the difference and bear in mind you can always seamlessly switch to live Q&A at the end! 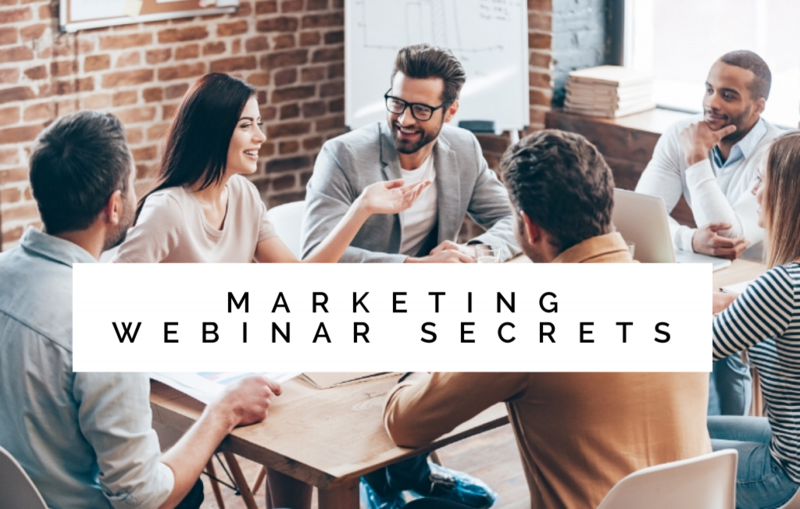 Now that you’re getting familiar with Webinar Automation, let’s talk about the major advantages of automating your marketing webinars. Creating a more effective and powerful presentation takes time and resources. In addition to curating content like PowerPoint slides, polls, video clips, and documents to download, you may also need to coordinate with guest speakers whose calendars might not always line up with yours. Redoing the same webinar two days later, and then a week later for a new audience is a pain. An efficient and successful marketer like yourself is always seeking to streamline repeated processes, am I right? Having the ability to redo a webinar automatically will significantly save you time and resources. Reproducing your marketing webinars with the same content and flow will also offer a more consistent experience for your attendees. The time you free up on an ongoing basis will help you spend more time on the original presentation and create one outstanding webinar you can then successfully clone. You may be wondering by now, how you could adapt each webinar to your audience as new attendees may have new unanswered questions. The answer lies in Webinato’s hybrid automated/live presentation technology that essentially enables you to replay interactively the main portion of your original event, and then seamlessly switch to an actually live Q&A session. Webinato even allow you to answer questions in parallel while the replay is running if you needed to. Consistency has the benefit of not only offering your attendees a higher quality presentation every time, but also lets you better compare the results of your various events. For instance, you can run your webinar for group A composed of a certain demographics and again at a later time in front of group B of a different demographics. Now you can compare the conversion rates between the two webinars and draw more accurate conclusions given that both groups were shown the exact same presentation. Webinar Automation will let you run webinars for different time zones, different group of prospects, and on different days of the week, thus allowing you to reach a much wider audience. This creates tremendous new opportunities for you to maximize your ROE (Return On Event) as you continue to collect data from your attendees on every repeated session. Webinato will even let you schedule webinars to run automatically at a certain time without you needing to be present. Imagine collecting information from prospects in Australia in the middle of the night while you are asleep in the US! The Webinato AutoPilot offers interactive replay even for on-demand sessions. This means that your target audience could run your webinars at the time they wish while still taking polls, asking questions and so forth and so on. Shahin Shadfar is the founder and Chief Executive Officer of Webinato, an advanced webinar platform enabling more engaging training and marketing webinars through rich-media and interactivity. Shahin was part of the team that invented the new generation of Smart Cards with on-board Java and cryptography now used as mobile SIM cards and in modern credit cards. Shahin holds a Masters in Computer Science from Supelec in Paris and a Masters in Electrical Engineering from Georgia Tech in Atlanta. You have once again managed to gather dozens of potential customers in one virtual space at the same time, ready to attend your marketing webinar! This was a tough one – your mailing list response was less than stellar, but you got lucky with a masterfully executed Facebook ad campaign and the percentage of invitees that actually showed up was way higher than you expected! Now what? 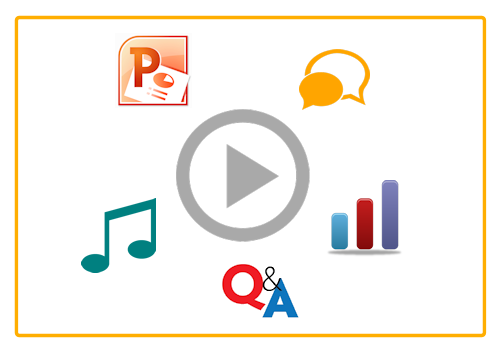 Show the same old boring PowerPoint deck and screen share demo? Or do you find yourself wondering what more you could do to get the most out of this golden opportunity of having potential buyers live and present at the other end of the wire? After all, they opted to take time out of their busy schedule to listen to you! Although a majority of webinars out there are static, uninspiring and flat out BORING, savvy marketers have developed a new generation of engaging, media-rich and result-oriented presentation techniques over the past few years that have proven to be much more effective. More effective presentations mean more money in your pocket! What are these new techniques, you may ask. Well, we’re going to spill the secrets here. Webinato's once exclusive system has been redefining webinar technology since 2004, and is now available to you to create more engaging and effective presentations that can be pre-recorded and replayed as if they were live in a fully branded, reliable and secure environment with their innovative AutoPilot feature..